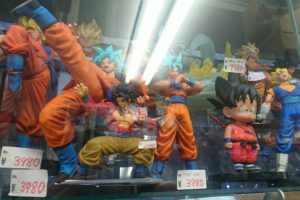 Akihabara Gachapon Kaikan is a very popular spot among foreign tourists. 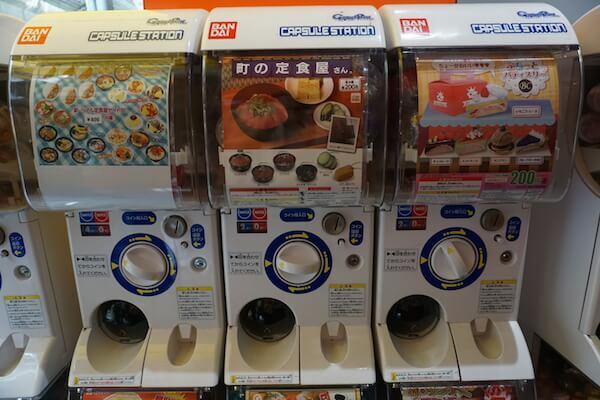 There are over 500 gachapon machines set up inside the store. Once you step inside, you won’t be able to leave it so easily. 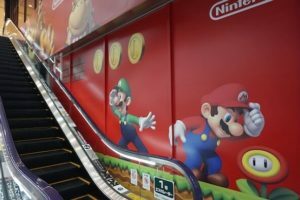 We introduce you a fascinating place in Akihabara – Gachapon Kaikan. The machines are reaching the ceiling! 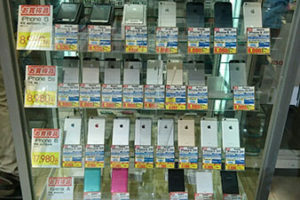 Gachapons are set all over Akihabara – the city that represents Japanese subculture. 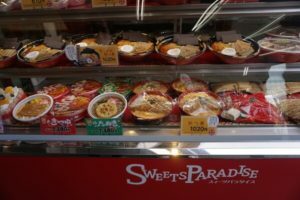 It is a haven where you can enjoy gacapon anywhere and whenever you find a rare one you may want to try out. 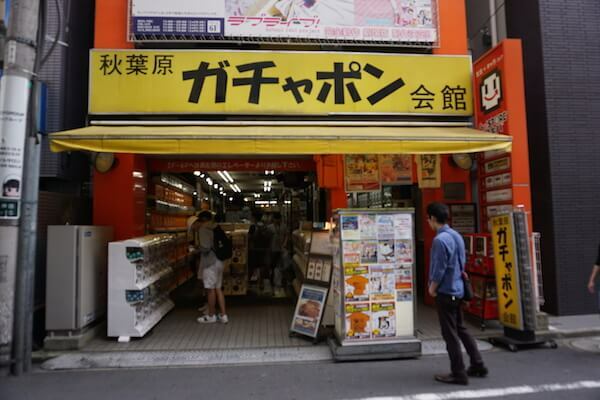 You will recognize Gachapon Kaikan by its yellow signboard. 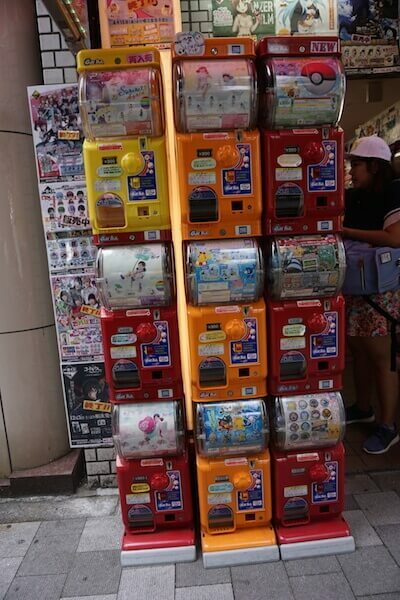 It is known as the holy land of gachapon with more than 500 machines to choose from at all times. The machines are lined up vertically and horizontally touching the walls on all sides. 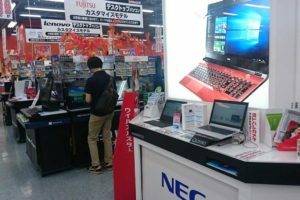 Once you enter the store, you will be surrounded by countless gachapons Rows of machines are reaching the ceiling. 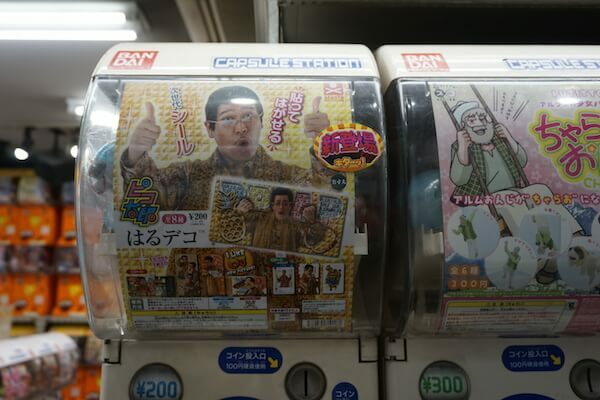 You will have a great time choosing among them in this gachapon cave. If you play a lot you can get a point card! 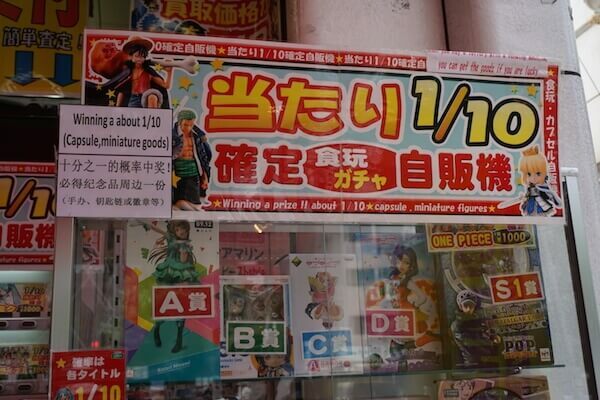 Good news for gachapon lovers who like to forget about the time and keep trying different machines. There are balls with ATARI written on them (ATARI means BINGO!) If you get an ATARI ball, approach the store clerk to get a point card. With this card, you can start collecting the seals and use them later to play for free. We recommend you these gachapons! No matter how many times you go back you won’t get bored of playing because 50 new gachapon titles come in every month! They have characters popular among people of all ages. 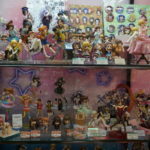 Aside from capsule figures, you can get a lot of other collectible goods like pin badges and cards. The cute and animal gachapons are always popular but recently, food gachapons are getting a lot of attention. A wide selection of plastic models of seafood and food products has been rapidly increasing. 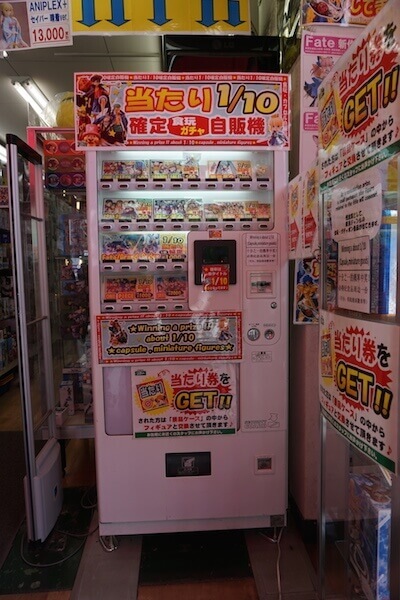 The moment of opening a new gacapon will excite you over and over so why don’t experience gachapon at the holy land of gachapon where you can keep playing as much as you want? 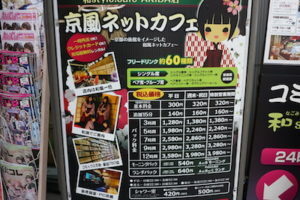 Usually, there are a lot of tourists visiting the store since Gachapon Kaikan is a well-known tourist spot. 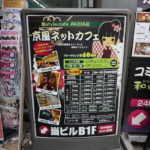 However, it is less crowded in daytimes on week days.